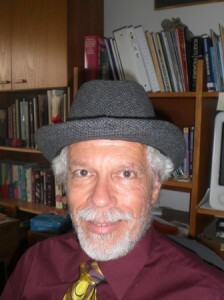 Richard A. Lovett obtained a degree in astrophysics from Michigan State University before changing fields to pursue the intersection of law and economics. He then graduated second in his law school class from the University of Michigan, added a Ph.D. in economics, and was a law professor at the University of Minnesota. Then he took up writing. As of late 2012, he has sold more than 3,000 nonfiction articles and forty-eight science fiction stories. Most of his fiction has appeared in Analog Science Fiction & Fact, but his stories have also appeared in Cosmos, Nature, Apex & Abyss, Running Times, Wisconsin Magazine, and Marathon & Beyond. They have also been translated into Russian, Polish, Portuguese, and Finnish. His first science fiction book, just published, is Phantom Sense and Other Stories. Lovett is one of the most prolific contributors in the history of Analog magazine. In addition to science fiction, he’s written science articles, writer profiles, and a popular series of how-to articles on short-story writing, for a total of 118 appearances.